Last month, I shared a bit about the Pike's Peak Highway, as it's celebrating its 100th year since official construction began. Next up is the luxurious resort known as The Broadmoor, yet another contribution of Spencer Penrose to Colorado Springs. If ever there was a resort that gives new meaning to the word luxury, The Broadmoor is it! Situated on acres at the base of Cheyenne Mountain along the Front Range of the Colorado Rockies, this 5-star resort is aptly named "The Grand Dame of the Rockies" and is patterned after elegant European hotels with excellent service and cuisine. Whitney Warren (a cousin to the Vanderbilts) and Charles Wetmore, designers of Ritz-Carlton and Biltmore hotels, were commissioned as architects in 1917 to build The Broadmoor. Nevertheless, this hotel has a notable names list worthy of the Who's Who in American History books. Names such as Annie Oakley, who ran the shooting school; Frederick Olmstead, who designed the landscape for Central Park and who also landscaped The Broadmoor; Arnold Palmer, who helped design the hotel's third golf course; John D. Rockefeller, who was the hotel's first guest in June of 1918; and the list goes on. The architecture and color is like the grand hotels found on the coast of the Mediterranean, in an Italian Renaissance style. The pink stucco of the façade also helps to blend in to the Pikes Peak area landscape. The main buildings are connected on a circular path around a lake, and a walking bridge has recently been built across the middle of the lake. The original hotel building is Broadmoor Main built in 1918. The others—built between 1961 and 2001—are Broadmoor South, Broadmoor West, Lakeside Suites, and West Tower. 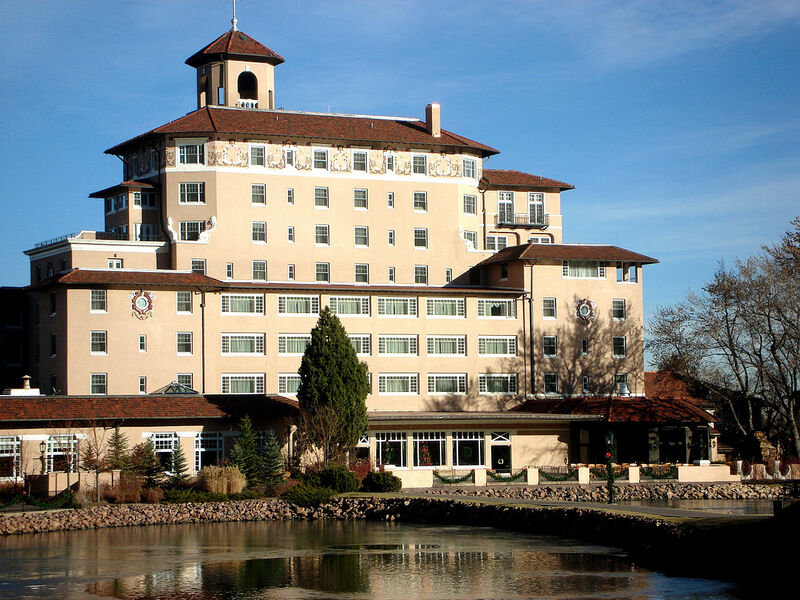 The Broadmoor has 779 rooms or spaces available for guests. Many of the Broadmoor South rooms have balconies and some have fireplaces. There are eighteen restaurants located in the main hotel buildings, golf club, pool cafes, Summit Restaurant, and Golden Bee pub. Broadmoor Golf Club has three golf courses, designed by Donald Ross, Robert Trent Jones, and Ed Seay and Arnold Palmer. The full-service spa has an indoor pool, fitness center, 43 treatment rooms, relaxation room, and hair and nail salon. It offers more than 100 services. You could spend three weeks being pampered here and still not experience everything offered at the spa. The resort also has indoor and outdoor pools and tennis courts. There are 25 retail shops, including clothing boutiques and shops, a florist, sundry shop, jewelry store, and gift shop. Plenty of options to satisfy that shopping craving you might have. There is a 3/4-mile trail around Cheyenne Lake that is creek-fed and manmade. In the summer, it's fun to rent a bike or paddleboat to travel around the lake. The Stables at the Broadmoor offer horseback riding, and The Penrose Heritage Museum houses a collection of vintage carriages and automobiles, including race cars from the Pikes Peak Auto Hill Climb in the early 20th century. I made reference to this race in my monthly post on July 9th. As if all of this isn't enough, The Broadmoor offers a luxurious mountain experience at their 16-acre Ranch on Emerald Green on Cheyenne Mountain. The current owner purchased the property and built a main lodge and ten cabins and restored other original buildings. There are two small lakes, horse stables, a gazebo, hot tubs, and an outdoor fire pit. Ranches are available for $800/night! So, are you ready to come for a visit? - Forbes Magazine has given The Broadmoor a 5-star ranking for 54 consecutive years (as of 2015), the longest period of time as any establishment in the U.S.
- Forbes also gave the hotel a 5-star restaurant ranking in 2012, making The Broadmoor one of only three other hotel and restaurant combinations to receive the ranking. * Have you ever stayed at The Broadmoor or visited at any time? What was the reason? * Is there a luxurious resort hotel in another town that's your favorite? Or perhaps another one well-known for its high-class service and accommodations? What is the name and where is it located? Have you ever stayed there? * What makes a hotel "high-class" in your opinion? 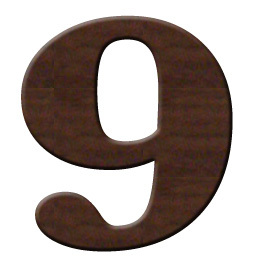 What is required for you to give a hotel or resort the coveted 5-star rating? Leave answers to these questions or any comments on the post below. Next month, I'll be spotlighting the famous Cheyenne Mountain Zoo, one of the nation's top zoos, ranked by the Zoo and Aquarium Association. When I lived in Denver back in 1965, my soon-to-be husband took me to dinner at the Broadmoor sometime in April or May for one of our most romantic dates. As we drove down from Denver, we saw an incredibly beautiful blood red full moon rising over the eastern Colorado plains. Fifty years later, we still recall that beautiful evening and amazing dining experience at the Broadmoor. If memory serves, we ate prime rib. Yum! But staying overnight was a bit too pricey. Well, Tiffany, you keep writing about some of my most favorite places in the whole world ... and one of my most favorite cities in the whole world. When we were stationed in Colorado Springs, we lived in a picturesque Bavarian chalet-type house about four blocks from the Broadmoor. That was back in the early sixties. Peggy Fleming was training at the ice rink at the Broadmoor during those years, I believe, for the Olympics. We did attend a meeting at the hotel. We went there years later when we lived in northern New Mexico for an anniversary dinner. And then I attended a Jerry Jenkins writers conference and stayed a week. What a delightful experience! Also, did you mention that the Broadmoor has its own ski area? Or they used to. The grounds are absolutely beautiful in the spring when the flowers start blooming and the gardeners put out those HUGE hanging baskets around the property. Ah! Makes me nostalgic to visit again! Thanks for the lovely post! 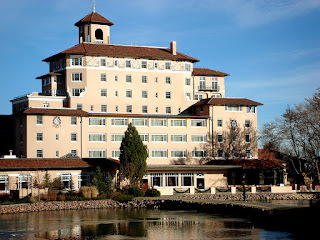 I've lived in Denver since 1980 but never heard of the Broadmoor until Jerry Jenkins had his Writing for the Soul conference there. I didn't realize it was so big! I mean, 18 restaurants! Thanks for the info, Tiffany. Living in Colorado, I love going to the Broadmoor. I try to go for my birthday which can happen because my birthday is in the "mud" season, spring. So the rates are on special. I love lane swimming in the outdoor salt water pool, browsing the shops, having afternoon tea, and walking the lake. 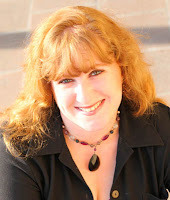 I contributed to a romance story compilation, Threads of Love, which is set in Colorado Springs and specifically, the Broadmoor. Of course I had to go for "research". Cheers.